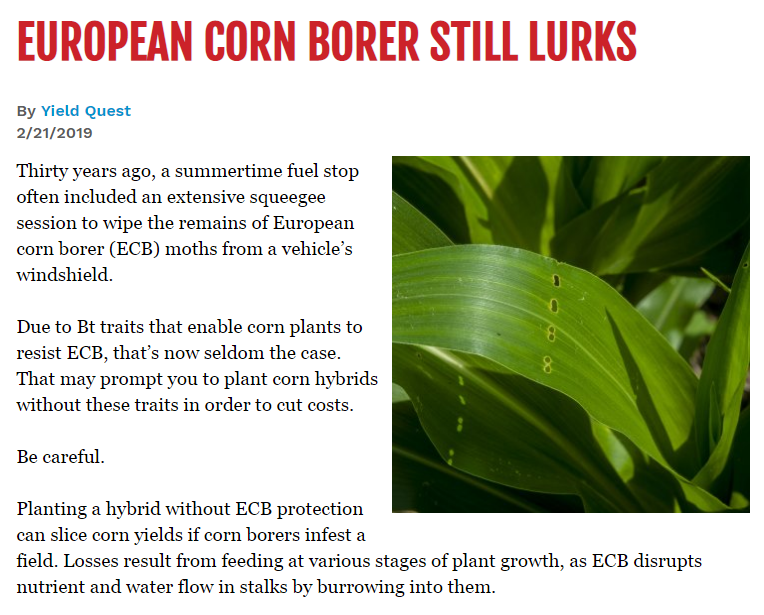 March 5, 2019 – Conventional corn or a hybrid without European corn borer resistance is less expensive seed. Clayton Becker, head of Golden Harvest West, points out traits demonstrate their value when it’s harvest time. Source: Gil Gullickson – Crops Technology Editor – Successful Farming in Des Moines, IA. https://www.agriculture.com/crops/corn/european-corn-borer-still-lurks Successful Farming seeks to help farmers make money, save time and grow their farming businesses. Learn more at http://www.agriculture.com.